Having worked with several garage door manufacturers over the years, our team of professional technicians here at Garage Door Repair Belmont have gathered enough knowledge and skills to fix, maintain, and install just about any garage door available in the market. We also pride ourselves in being adept at servicing and handling two of the biggest names in the industry, Clopay and Amarr. These two are leaders in the garage door manufacturing field and we offer a variety of services for these garage door brands. We get many calls from customers every month, and a lot of them involve Clopay garage door installations, or fixing failed DIY installations. Though we applaud our customers who purchase a Clopay door, we do caution against performing any DIY installations alone on any garage door. If we compare the service bills for our professional installation services and costs of fixing failed DIY installations, the latter is more expensive. This is because we have to fix misaligned tracks, damaged garage door frames and other mistakes. In the long run, it would cost less to get a professional team like ours to install Clopay doors as it is done perfectly the first time round. We also get a lot of service calls for repairs, especially for broken springs and cables. While cables and springs will degrade and break over time due to wear and tear, they tend to break more easily with overuse, harsh weather conditions, incompatible garage door parts, and poor maintenance. After performing the necessary component repairs and replacement, we look into the cause of the problem. Sometimes the garage door is too heavy to support the springs and tracks, or the owners tended to force open and close the door. We usually give further recommendations and offer maintenance services to our customers. 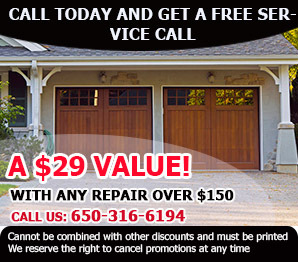 Like Clopay, we get a lot of calls from owners of Amarr garage doors for repairing failed installations or DIY repairs. One thing about these doors is that they arrive in different designs, styles and makes. Each door type is unique from the other and requires professionals like us to fix or install. What works for one type of Amarr door may not work on another. It is astounding to see how many calls we get per month from customers who have tried to fix problems on their own and made things worse. If you cannot be bothered with a professional because you are in a hurry, never fear. We offer emergency garage door services in situations where you get locked out of your garage or any crisis you encounter any time of the week. We'll respond to your call quickly and fix your doors straight away. Amarr has several product lines that combine efficiency with aesthetics. A lot of clients call in asking about different Amarr designs, not because their garage door is broken, but they simply want to upgrade it to something that is more pleasing to the eye. We perform a lot of door upgrades for our clients and replace their boring garage doors with something from Amarr that exudes style and warmth.